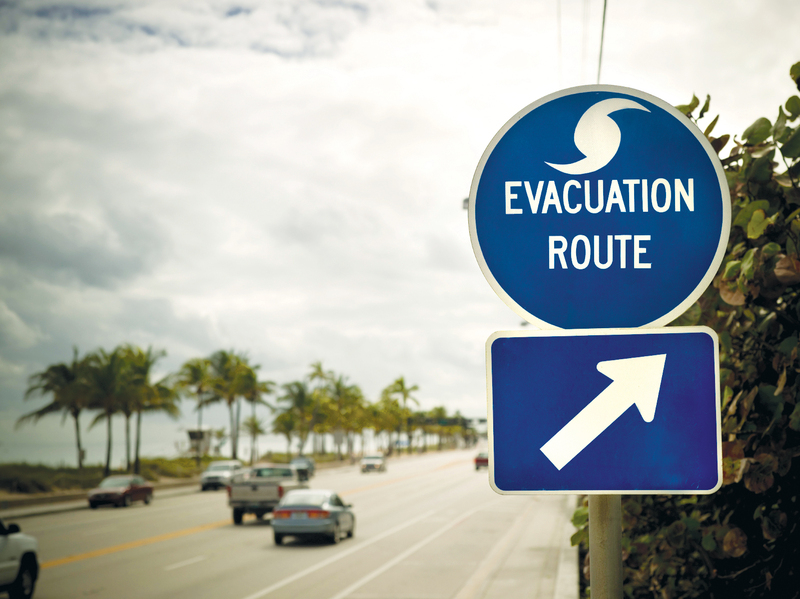 August | 2015 | Live Healthy S.C.
With Tropical Storm Erika forecast to approach the coast of Florida early next week, it’s a good time to remember the importance of staying prepared for disasters and emergencies of all kinds. If you have special medical needs, be sure to consult a physician regarding the best place to be during the storm, and make sure that you have adequate access to proper medications, medical supplies and equipment. American Red Cross shelters and DHEC Special Medical Needs Shelters (SMNS) should be your last resort and used only when no other option is available. In conjunction with partnering state agencies, DHEC plays a supporting role during statewide emergencies, like tropical storms and hurricanes. The South Carolina Emergency Management Division (EMD) is the coordinating agency responsible for the statewide emergency management program. For up-to-date information about Tropical Storm Erika visit EMD’s website. You can also follow their tweets, at @SCEMD. This entry was posted in Emergency Preparedness on August 28, 2015 by SC DHEC. You know about the importance of car seats, baby gates and other ways to keep them safe. But did you know that one of the best ways to protect your children is to make sure they have all of their vaccinations? National Immunization Awareness Month is a reminder that we all need vaccines throughout our lives. Because of advances in medical science, your child can be protected against more diseases than ever before. Some diseases that once injured or killed thousands of children are no longer common in the United States – primarily due to safe and effective vaccines. Vaccines are only given to children after a long and careful review by scientists, doctors, and health care professionals. Vaccines will involve some discomfort and may cause pain, redness, or tenderness at the site of injection, but this is minimal compared to the pain, discomfort, and trauma of the diseases these vaccines prevent. Serious side effects following vaccination, such as severe allergic reaction, are very rare. Children in the United States still get vaccine-preventable diseases. In fact, there has been a resurgence of measles and whooping cough (pertussis) over the past few years. Unfortunately, some babies are too young to be completely vaccinated and some people may not be able to receive certain vaccinations due to severe allergies, weakened immune systems from conditions like leukemia, or other reasons. To help keep them safe, it is important that you and your children who are able to get vaccinated are fully immunized. This not only protects your family, but also helps prevent the spread of these diseases to your friends and loved ones. A child with a vaccine-preventable disease can be denied attendance at schools or child care facilities. Some vaccine-preventable diseases can result in prolonged disabilities and can take a financial toll because of lost time at work and medical bills. In contrast, getting vaccinated against these diseases is a good investment and usually covered by insurance or the Vaccines for Children (VFC) program, which is a federally funded program that provides vaccines at no cost to children from low-income families. To find out more about the VFC program, visit www.cdc.gov/vaccines/programs/vfc or ask your child’s health care professional. Vaccines have reduced and, in some cases, eliminated many diseases that killed or severely disabled people just a few generations ago. If we continue vaccinating now, and vaccinating completely, parents in the future may be able to trust that some diseases of today will no longer be around to harm their children in the future. For more information about the importance of infant immunization, visit www.cdc.gov/vaccines. This entry was posted in Maternal & Child Health and tagged children, disease prevention, immunizations, Vaccination on August 26, 2015 by SC DHEC. Recent news stories reported on the emergence of “super lice” in about half of the United States including South Carolina. Scientists studying these insects found that large numbers of them have become resistant to some over-the-counter lice treatments. Quite a few studies in the past decade have shown more and more resistance to over-the-counter head lice medicines, also called pediculicides. The good news is head lice do not spread disease, and there are several prescription drugs that completely kill lice in one to two treatments. How Can I Avoid Head Lice? Head lice are spread from person to person, almost always through direct head-to-head contact. Preschool and elementary-age children, ages 3-10, and their families are infested most often. Girls tend to get lice more often than boys. Lice can also be spread by contact with clothing or other personal items that were used by an infested person. Children should avoid sharing hoodies and hats, scarves, coats, sports uniforms, barrettes or hair ribbons, combs and brushes, headphones or towels. Lice or eggs could be spread from one person to another through these objects. Companies sell products that claim to keep children from getting lice. Right now, there are no good studies showing whether or not these products work the way they are advertised. It is important to know that these might not provide complete protection, and you will need to continue to check your children for lice. What Should I Do If My Child Gets Lice? Check the scalp, behind the ears, and near the neckline at the back of the neck. Look for tiny moving insects (these can be very hard to see) or for tiny bulb-shaped eggs that appear to be glued to the hair. If you are not sure, ask your health care provider, including your school nurse, to check your child’s scalp. It is easiest to check when the hair is damp. You can use a lice comb to check for crawling bugs and their eggs. Your child may have been sent home from school or child care with lice. If so, he or she will need to be treated before returning to school. Some school districts in South Carolina require children to be “nit free” before they can return to school after a lice treatment. Others just require that there be no live crawling lice on the child’s scalp. Your school nurse or child care provider will tell you what the rules are if your child has to be treated for lice. How Should I Treat Lice? Most lice experts recommend that parents first try using an over-the-counter lice treatment. Common examples are Nix, Rid, and A100. Follow the directions closely, especially how long to keep the medicine on your child’s head and how long before you should wash the child’s scalp again. 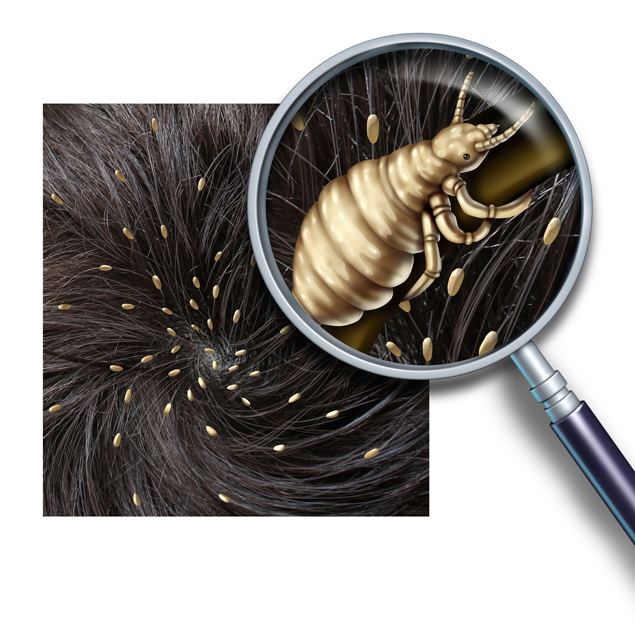 Some products keep killing lice even after the product has been rinsed off the head. Check or comb your child’s head each day after the lice treatment. It may take seven to 10 days for all of the bugs to die after the first shampoo or creme rinse. If your child still has lice a week later, you can try the same treatment again, or call your health care provider about a prescription treatment. Examples of prescription lice treatments include Elimite, Spinosad, Ulesfia, Ovide, and others. Your health care provider will take into account your child’s age and allergies when making a decision on a prescription lice treatment. Do Home Remedies Work on Lice? Many people have favorite home remedies for lice. Some people try to smother lice with shortening, cooking oils, or mayonnaise. Some people use vinegar rinses. These may work for your family; unfortunately, there are no studies that show that these completely get rid of all the lice a child has. There are also no good studies that show whether essential oils, electric lice combs, or herbal remedies work to kill lice well enough for your child to return to school. Check with your child’s school or child care to see when he or she can return if you use one of these remedies. Kerosene and gasoline should never be used to treat head lice. How Can I Keep Lice from Spreading in My Family? Wash the infested person’s bed linens in hot water and dry in a hot dryer for at least 20 minutes. Wash any clothes that were worn during the week before the lice were found. Dry-clean any coats, jackets, favorite toys, throw pillows or other objects that might have touched your child’s head. If something cannot be dry-cleaned, put it into a plastic bag and store it away from the child’s belongings for two weeks. This prevents any living lice or any newly hatching lice from surviving. Check the heads of your other children or any other child who may have shared a bed or other sleeping space with the child who has lice. For more information, please visit the Centers for Disease Control and Prevention’s (CDC) website. Also visit DHEC’s website for school and child care exclusion lists. This entry was posted in Community Health and tagged lice on August 24, 2015 by SC DHEC. 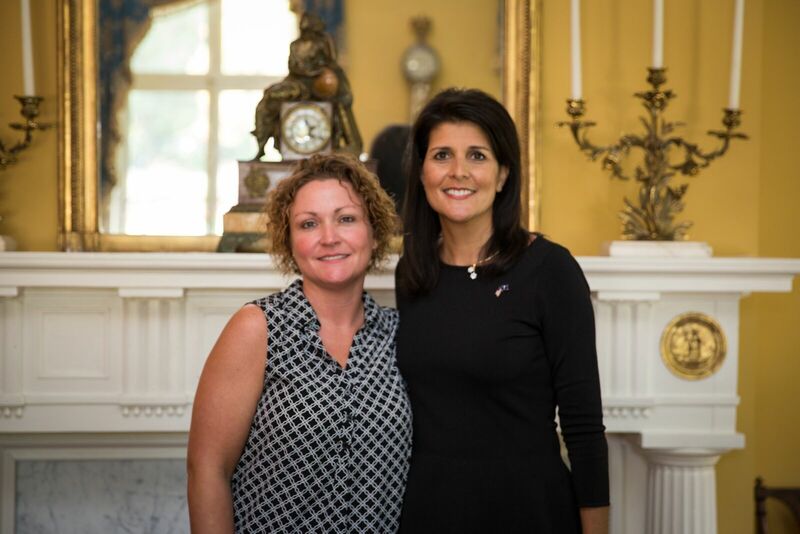 S.C. Department of Health and Environmental Control employee Hope Ramsey joined a small group of her peers last month for a public service recognition lunch with Governor Nikki Haley. Director of the agency’s Accounts Receivable Division, Ramsey was recognized for her outstanding leadership, teamwork, and customer service. A valued member of our Budget and Finance Management team, Ramsey recently played a pivotal role in the roll-out and rewriting of the new private pay system—making it easier and more user-friendly to operate. The automated private pay system was developed to put into place more effective internal controls for the receipting and financial reporting of monies taken in by our programs at each health department site statewide. Both preventative controls and detective controls have been incorporated into the automated private pay system. 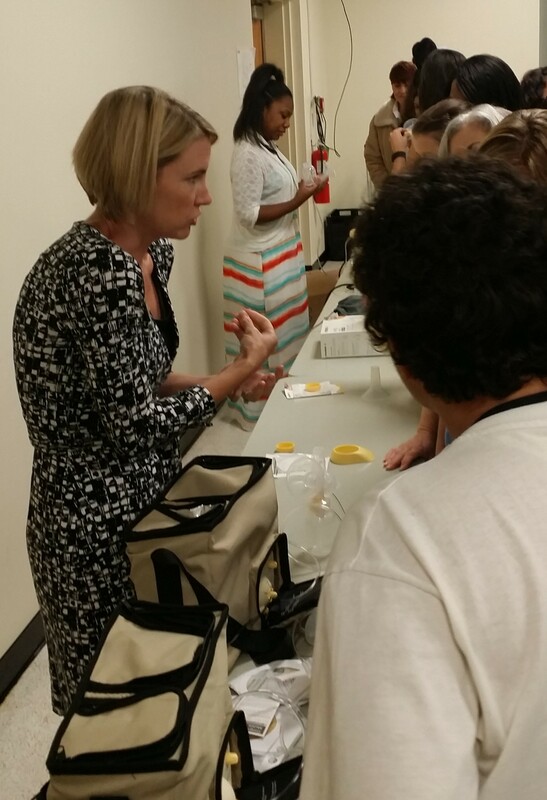 In addition, she was involved in the integration testing of the system, training DHEC staff from across the state on how to use new application. Holding over 16 years of experience at the agency, Ramsey started with DHEC as a Fiscal Tech I, working in various positions to her current role as division director. An exemplary team leader, Ramsey leads by example, setting strong standards and values for her team. Thanks to Ramsey and all of the members of our Accounts Receivable Division team for your continued efforts to help serve our agency and the state. This entry was posted in Employee Recognition and tagged Award, Governor Nikki Haley on August 21, 2015 by SC DHEC. DHEC’s Women, Infants and Children (WIC) program encourages moms to breastfeed their babies for the best start. But it isn’t always easy, especially when moms must return to work, school or have premature babies still in the hospital. That’s why WIC offers an array of support services ranging from one-on-one help from peer counselors in the hospital shortly after mom gives birth to ongoing classes, support groups and encouraging phone calls and text messages. Breastfeeding, which is being highlighted in August with National Breastfeeding Awareness Month, improves health by protecting moms and babies from a variety of diseases. It also is an effective way to fight childhood obesity. WIC breastfeeding peer counselors, certified lactation counselors, registered dietitians and other staff this summer completed training on the latest in breastfeeding research and best practices on how to teach moms effective ways to use a breast pump. 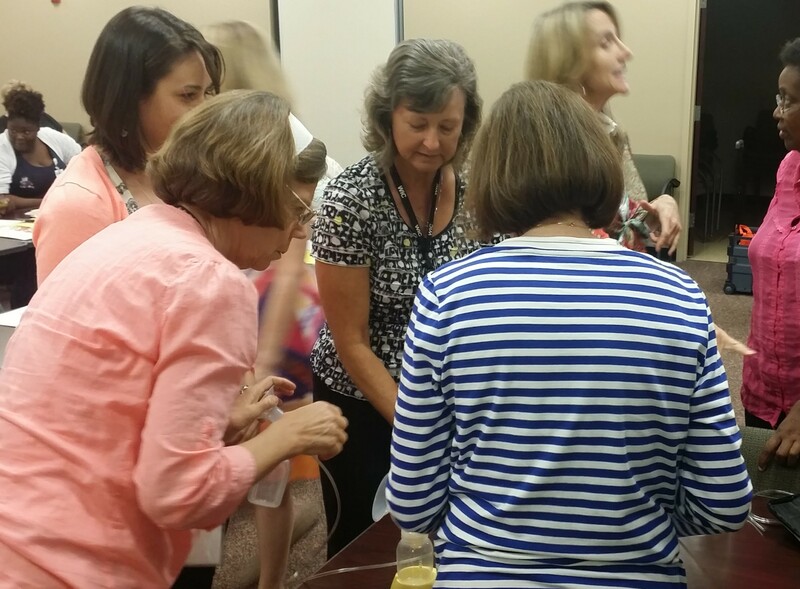 More than 180 staff members from throughout the state attended the trainings held in Florence, Greenville, Lexington, and Walterboro. For more information on breastfeeding resources and support from WIC, visit this page. Find a WIC clinic near you here. To find an International Board Certified Lactation Consultant near you, visit this site. This entry was posted in Maternal & Child Health and tagged breastfeeding, WIC on August 20, 2015 by SC DHEC.